There have been reports that Gaddafi’s forces may be close to running out of fuel altogether, mostly assuming that this will force his side to surrender. This assumption is based on the North African campaigns in World War Two, in which Rommel was eventually forced to surrender due to lack of fuel for his tanks (1). However, while that’s possible, there is no guarantee of Gaddafi’s forces surrendering if this happens. They might, but it’s as or more likely that without a negotiated peace they would switch to using guerrilla, insurgent, terrorist or resistance tactics (choose whichever term you prefer), as happened in Iraq after the defeat of it’s military. The fact there are no large numbers of foreign troops occupying Libya (only a few special forces trainers and spotters for airstrikes) might make this less likely or a smaller insurgency than in Iraq, but it’s still a possibility that has to be taken into account. 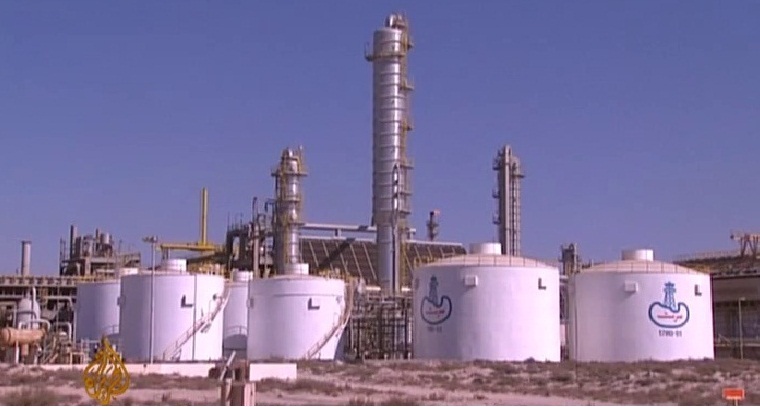 Gaddafi’s forces seem to only control one functioning refinery – at Zawiyah – and the oil pipeline to it has been cut by the rebels (2). This should certainly mean that sooner or later his forces will run out of fuel for their tanks, truck mounted Grad rocket launchers, mobile artillery and pick up trucks. 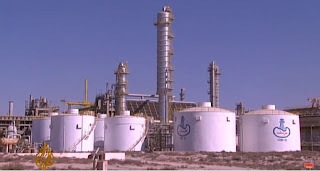 How soon (or not soon) is still anyone’s guess, as no-one knows how much oil Gaddafi has stored in reserve in barrels in Tripoli that could be sent to the refinery. (This also raises the question of why NATO hasn’t bombed the refinery and why it tried to persuade the rebels not to cut the pipeline – issues I’ll cover in a separate post). The claims by Libyan defectors that Gaddafi was running out of fuel and money were made before the 13th of June though (and seem to mostly have been made by one defector – the former head of Libya’s central bank). He claimed that this would happen within days or a couple of weeks (3). So either it’s going to happen very soon, or else these claims are just based on guesses, wishful thinking, or are propaganda designed to encourage any of Gaddafi’s people hearing it to defect. Fuel prices have certainly gone up massively in the parts of Libya controlled by Gaddafi’s forces (starting even in May), but it’s possible this is partly due to Gaddafi prioritising supplies to his armed forces (4) – (5). Similarly reports that Gaddafi is running out of money are no guarantee of his regime falling, nor would an airstrike killing him (a strategy which has failed for over 100 days now and has never worked anywhere else). The assumption that Gaddafi running out of money will lead to the surrender of his forces assumes their primary motivation is money. That may well not be the case. Assuming killing Muammar Gaddafi alone will end the civil war may be an assumption that turns out to be true, but could equally be as false as the assumption in Iraq that all the insurgents were Sunni and Ba’athist ‘dead enders’ who supported Saddam and that they would surrender when he was gone. In fact most of the insurgents weren’t hardline Ba’athists at all and many of them were Shia. Bombing carried out by the US air force and the British RAF from 1991 to 2002, combined with sanctions, repeatedly failed to either kill Saddam or generate a military coup against him, so hopes of Gaddafi’s own forces, generals or ministers overthrowing him may be wishful thinking too. US and NATO military planners are generally meant to plan for the “worst case scenario”, but instead most of their plans (and those of the governments giving them orders) are hugely optimistic and ignore the possible pitfalls and false assumptions involved. As a result most of them either fail, or only succeed at great cost in lives. Saif Al Gaddafi has repeated that his father will accept elections overseen by international observers in return for a ceasefire (6) – (7). He may or may not be telling the truth, but given all the potential ways this war could drag on with heavy civilian casualties without a peace settlement, taking up the offer might be a sensible course for the rebels and NATO. Even if it doesn’t work they at least get more Libyans and more people and governments around the world on their side by showing they were willing to try for a peaceful solution. Currently their refusal to accept any offer of negotiations that doesn’t include Gaddafi and his sons giving up power entirely before negotiations even begin is making a long civil war more likely. They have plenty of justifiable reasons to be angry at the Gaddafis’ dictatorship and to want rid of them, but the reality is that at least giving negotiations a try would be the best option.